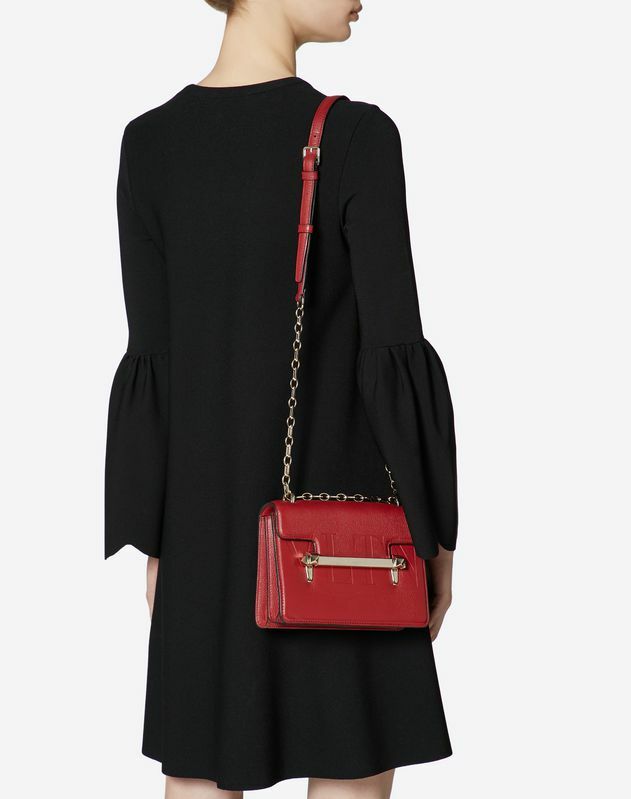 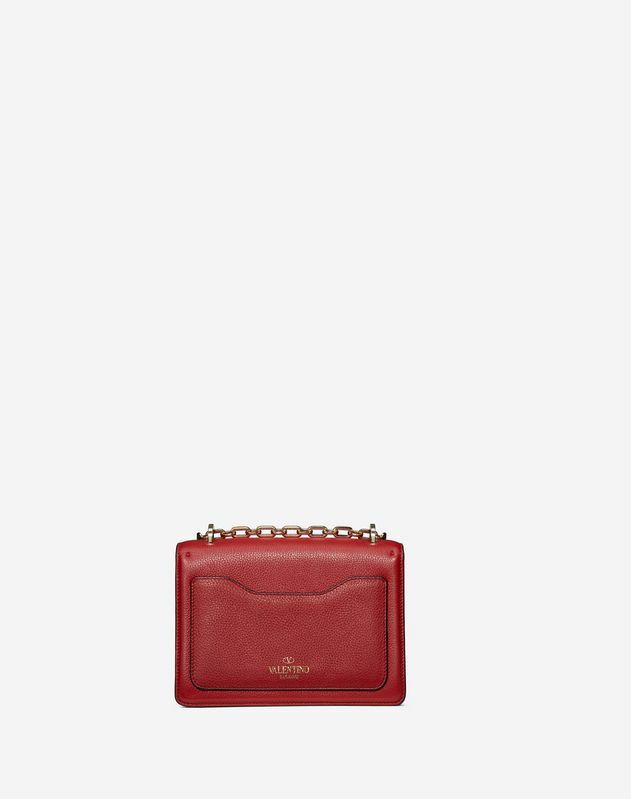 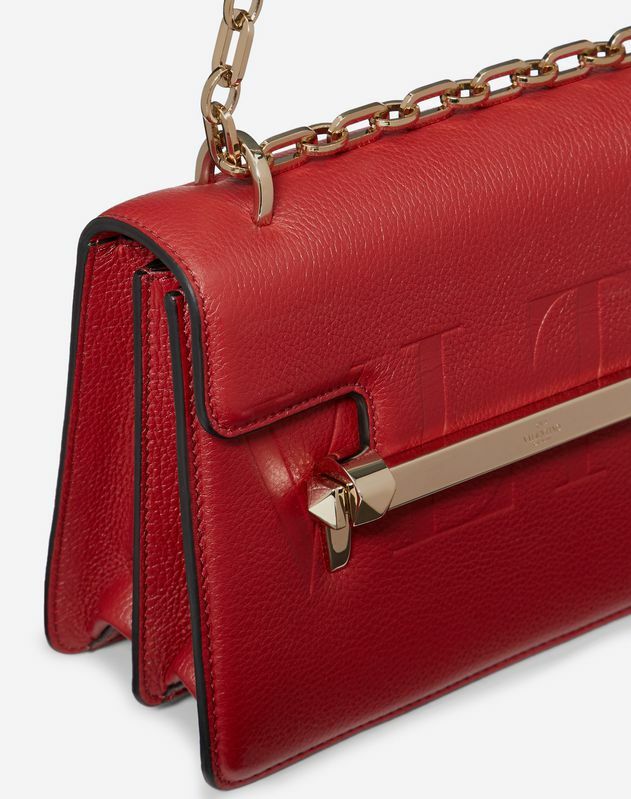 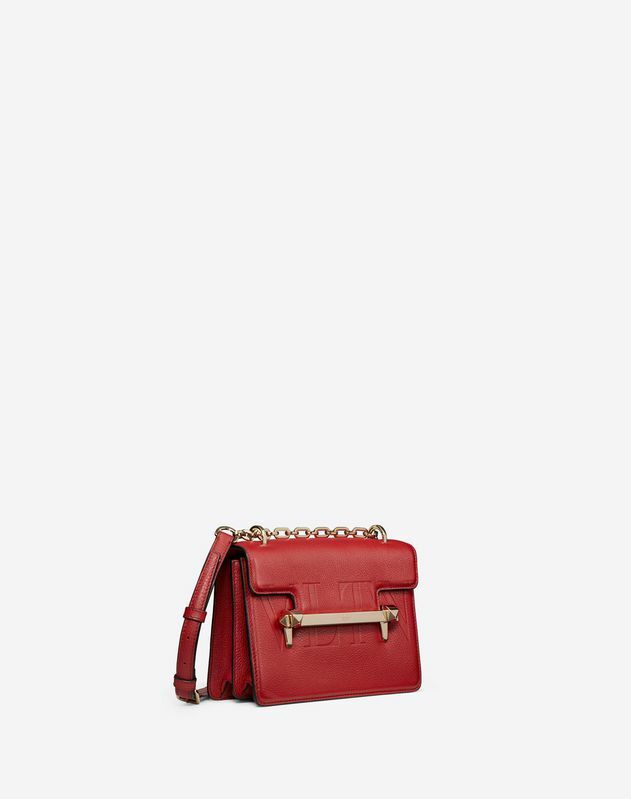 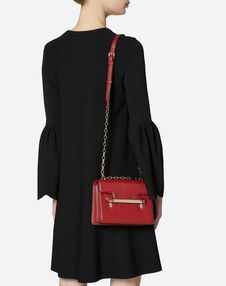 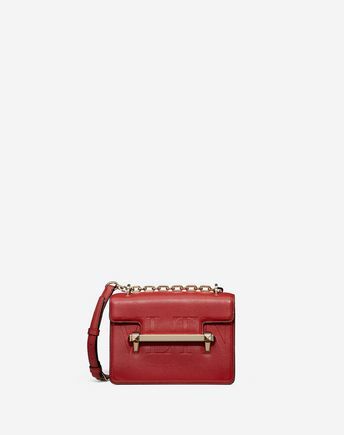 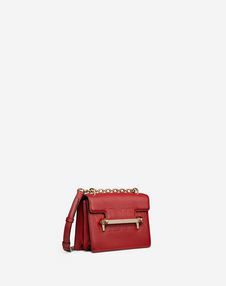 Small Valentino Garavani Uptown chain bag in grainy calfskin leather. Hot-pressed VLTN logo on the body of the bag. - Cotton lining. 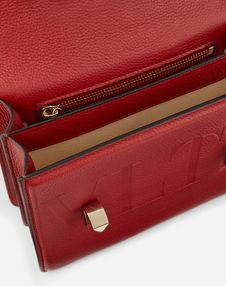 Interior: two compartments with divider, two flat open pockets and one zippered pocket. Rear flat pocket.